My Digital Studio~One of my Favorite Groups of People! I received this photo from my Upline this weekend. 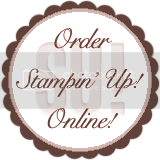 It was taken by one of the Stampin' Up! photographers at convention. His name is Dirk and he's a real doll. I wanted to show it to you today but thought 'you know what I am going to want to scrapbook this picture too' so in about 2 minutes I scrapped this photo of the ImPECKable Stampers group using the NEW My Digital Studio. I can't say enough about this program. It's a must have! This template was predesigned so all I had to do was drag n drop the photo, rearrange the little froggy and his lily pad, and add my own text in the predetermined box. Is My Digital Studio all templates? Heck NO! Although there are a lot in there to make it easy for me. But I can start from scratch too using all kinds of papers (hundreds actually!) embellishments, ribbons, Stamps you name it! I think when I make my own scrapbook I will add a little ribbon. In case you were wondering where I am in the photo...I'm the one wearing the green hat! LOL Ok so we all have green hats, that's the reason I loved the little froggy page, because I heard more than once during my week in Salt Lake City, that we were the one's with the lilypads on our heads. I don't think they were really intended as lily pads but when you are in a group of 3,000 to 5,000 demonstrators I could pick out one of my stampin' sisters just like that! So eating lunch together was easy peasy even when hearding (yes we were a little like cattle) into a huge (I mean huge) warehouse type room to eat! Oh you really do want to know which one is me? I am in the back row sixth from the left. Long brunette hair with cheesy smile. But seriously how hard is it to get a group of women this big to all smile at the same time! But we did it!! Preorder your copy of My Digital Studio from me before midnight on Wednesday September 30th and get FREE Shipping! Save $8!! Email me today to place your order! Why Baby "Bunny"? Because until my precious Great Niece Payton was named we called her Baby Bunny. Her momma might not know that we called her Baby Bunny so shhhh. Anyway I want to share the Flipbook I made for her. I hope she adds all kinds of fun pictures and notes about Payton Jeans first days here on earth. What a precious gift from God she is. This flipbook uses half of a Stampin' Up! Simply Scrappin kit called "Rock-A-Bye Girl" #112165 from the Current Spring & Summer Idea Book & Catalog. See previous post to get a pattern to duplicate this book. Like it? Leave a comment. I made this little book for my favorite GREAT Nephew Colton(I can say that I only have one so far! ;-) Colton is 2yrs old (almost) and LOVES boy stuff! Just half of a simply scrappin kit and a few simple embellishments. These mini albums are SO much fun to do. I found the pattern online on Amy Celona's blog. You can make two full books from One Simply Scrappin kit so very economical too! With no more than 2 hours, a few simple embellishments and you have a real keepsake gift. Here are a few more pictures of the book. I used the Hoppy Memories #113939 Simply Scrappin Kit from the current Stampin' Up! Spring & Summer Idea Book & Catalog I really hope you enjoy my first post back after a long hiatus. Come back to see the book I made for Colton's new sister!